On the night of October 4, 1967, at about 11:20 p.m. Atlantic Daylight Time, many witnesses saw something crash into the waters of Shag Harbour, a tiny fishing village in the Canadian province of Nova Scotia. At least eleven people saw a low-flying lit object head towards the harbour. Multiple witnesses reported hearing a whistling sound “like a bomb,” then a “whoosh,” and finally a loud bang, as it plunged into the Gulf of Maine. Assuming an airplane crash, RCMP officers arrived at the scene within minutes, and watched the object sink and disappear from view. Within half an hour of the crash, local fishing boats and Canadian Coast Guard were searching the site for survivors. None were found. There was no debris. No airplanes were missing. Two days after the incident, a detachment of Royal Canadian Navy divers spent three days searching the seafloor of the Gulf of Maine off Shag Harbor. No trace was found. 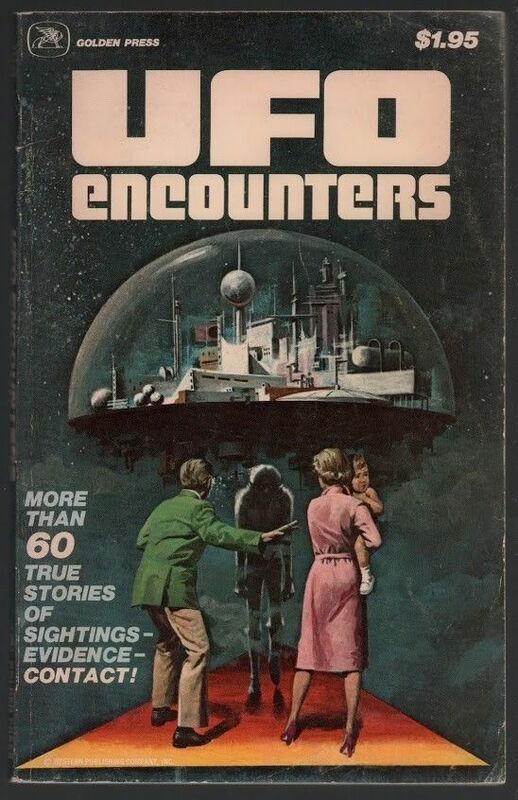 A comic book depiction of the Shag Harbour UFO incident appeared in Issue 1 of “UFO Encounters” comic, 1978, Golden Press, Western Publishing Co., ISBN 0-307-11192-X.